Click the button below to add the Tiny Love - Gymini Bouncer to your wish list. Keep your baby entertained and comfortable with the TINY LOVE Gymini Bouncer. The bouncer's multi-sensory environment features a wealth of colors, textures, and sounds to delight babies and help develop their senses. 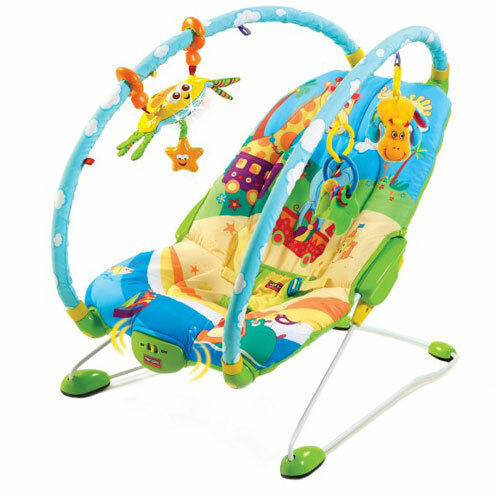 Three colorful hanging toys can be moved along two adjustable arches to entertain, while a reclined position and a vibrating seat help soothe and relax your baby. 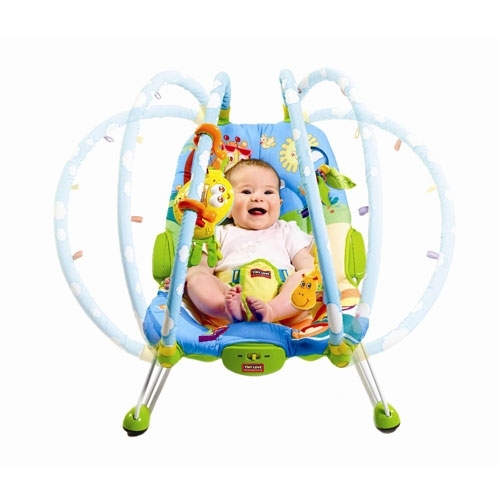 Parents will appreciate the easy installation, the vibrant colors, the multiple positions and, most of all, the moveable arches that allows them to get their baby in and out of the bouncer easily. The seat features a colorful fun animal theme complete with toys music, lights and vibrations.